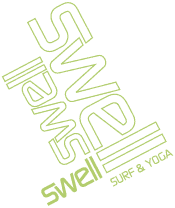 Teaching people that are completely new to the sport of surfing all the basic essentials of how to ride the waves is what we at Swell specialize in. We provide high quality surf lessons for our clients, and one way to ensure this is by using quality surf material: Safe big soft top boards for the first time surfers, rashguards, leashes but most importantly by using internationally qualified surf instructors that are fluent in English. Our surf instructor to student ratio is pretty much guaranteed to be below 6 students for 1 instructor. We have 2 international surf coaches working at Swell with years of experience teaching surfing in a safe, fun and structured manner. 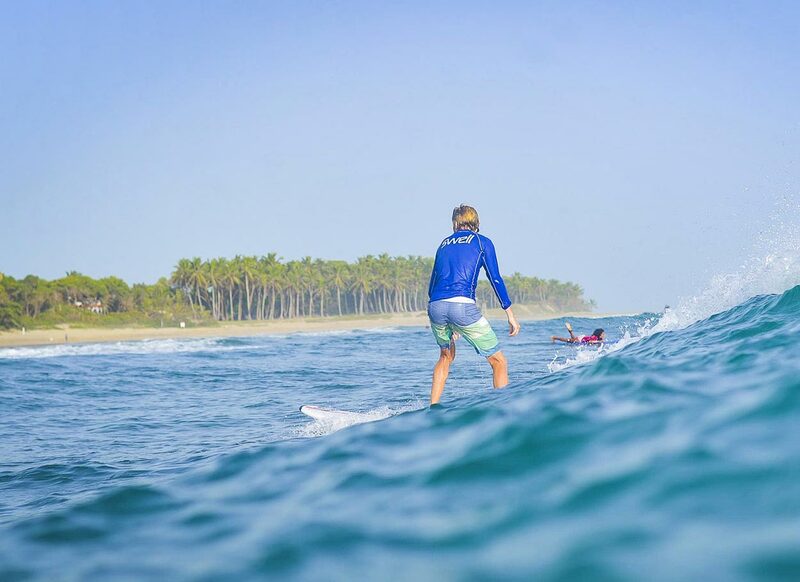 Besides those 2 coaches we also have a permanent Dominican Surf instructor, who is widely regarded as one of the best surf instructors in the country: Neno, He speaks English fluently, is very patient and an all round nice guy with a huge smile. What kind of people take lessons with Swell? Well we only give lessons to the clients that stay at Swell, to ensure that the student / instructor ratio is kept low. 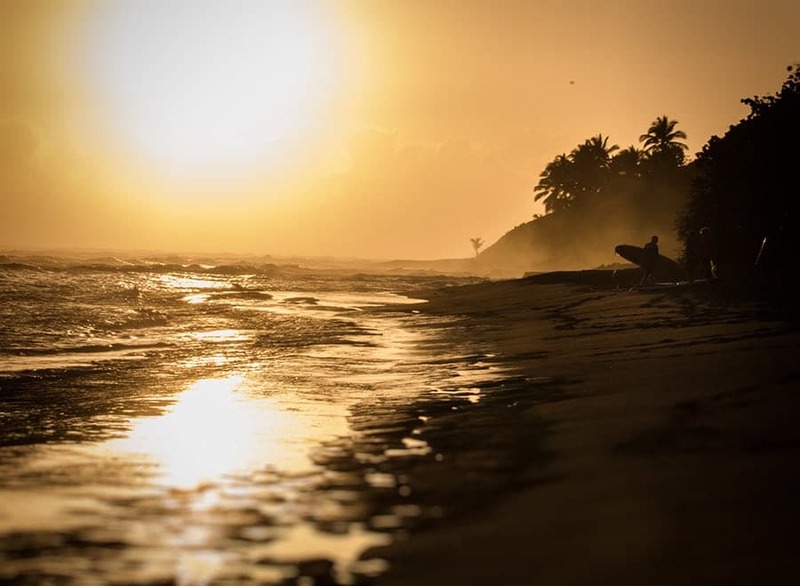 So unlike other surf schools and surf camps in Cabarete, we do not give lessons to non clients. We use the best surf equipment available for our surf lessons, this means our boars are sop top surfboard ranging in sizes from 7’8” to 10” from Global Surf industries. They are regarded the best boards for learning in a quick and safe way. 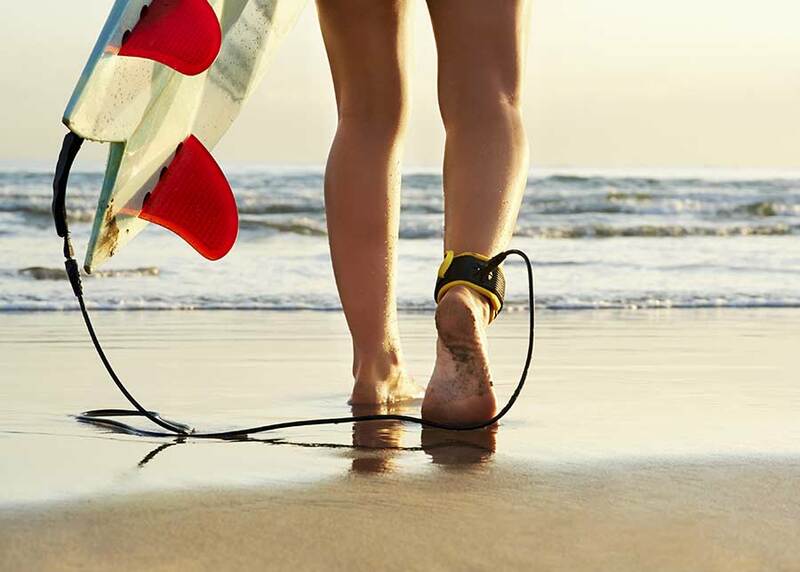 We also provide surf boots for extra grip and to prevent you from hitting your toes on the odd little rocks under the water. For sun and rash protection Swell provides Lycra’s. Clients are adviced to bring good SPF30+ sunscreen to make sure you don’t end up with terrible sunburns, since the sun is intense in the Caribbean. 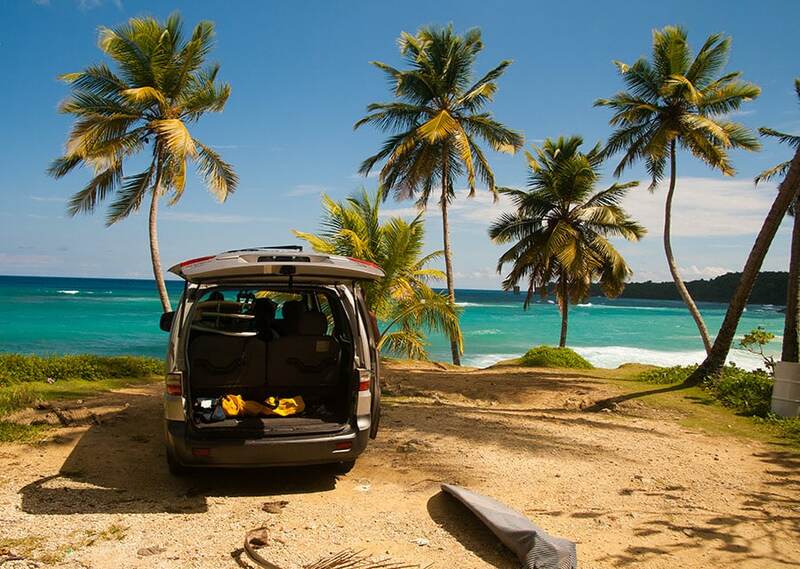 THE BEST TIME FOR A LEARN TO SURF HOLIDAY IN THE DR? For intermediates if you just started catching unbroken waves, spring / summer and autumn are best, for more advanced intermediates the winter is a good time to start challenging yourself with some bigger waves. Experts Surfers: best time to come is between October and April when the winter swells roll in for overhead + conditions most of the time.